Scotland full back Stuart Hogg has been banned for three weeks for his late tackle on Dan Biggar which led to him being sent off in his team’s Six Nations loss to Wales in Cardiff. The Glasgow Warriors back was shown the red card in the 22nd minute at the Millennium Stadium on Saturday after smashing his shoulder into the face of Dan Biggar long after the Wales fly-half had completed a clearing kick. In his absence for nearly an hour, Scotland were thrashed 51-3 – their heaviest Six Nations loss – to round off a tournament where their lone win was by a mere one-point margin over bottom of the table Italy. Hogg, who issued an apology after the match, will not be able to play again until April 7. And he apologised again after receiving his punishment from a a disciplinary tribunal in London, the tone of his comments suggesting he would not appeal against the ban. “I’m very sorry, I have let people down and apologise to my teammates, the Scotland management and all Scotland supporters,” Hogg said. “I am disappointed to be missing three games but fully respect the committee’s decision,” the British and Irish Lion added. Hogg was only the third Scotland player to be sent off in an international following Nathan Hines in 2002 and Scott Murray in 2006. 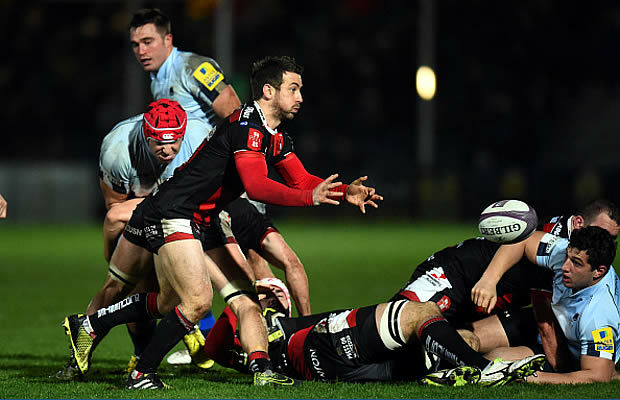 He will now miss Glasgow’s Celtic League matches against Llanelli Scarlets, Ospreys and Benetton Treviso. Hogg’s case was an example of how match officials are now allowed to use technology beyond awarding a try, with French referee Jerome Garces initially producing a yellow card before changing his mind and showing a red after watching a replay of the incident on one of the Millennium’s giant screens. The Six Nations disciplinary committee said Hogg’s punishment would have been more severe had he not shown so much contrition. The disciplinary committee, chaired by Mark McParland (Ireland), along with Jeremy Summers (England) and Achille Reali (Italy), determined that Hogg’s offence merited a five-week ban, but found there were no aggravating factors and allowed a two-week reduction. “The disciplinary committee therefore imposed a sanction of a three-week playing suspension. 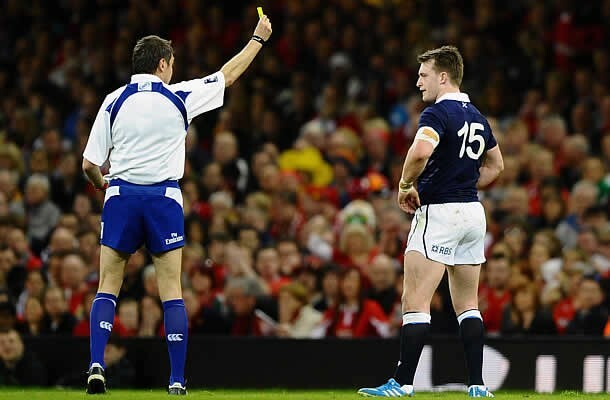 Stuart Hogg is suspended from playing until midnight on 6 April 2014 and has the right of appeal,” the statement concluded.